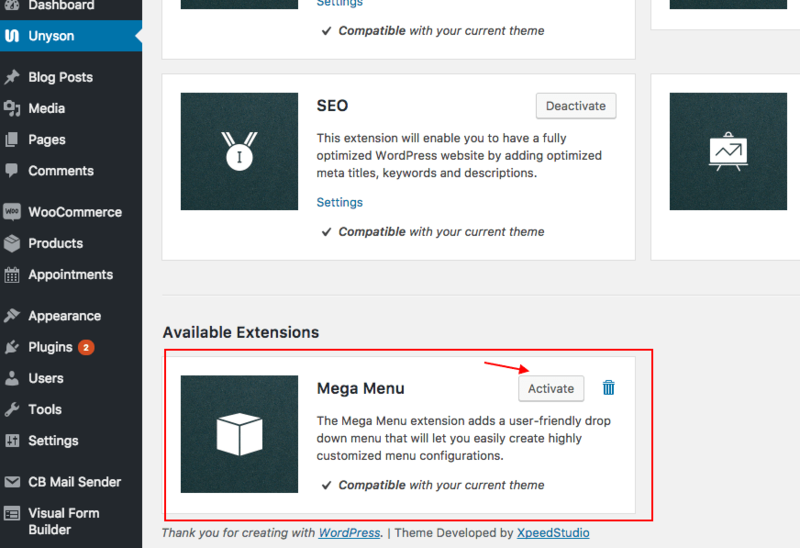 Some of our themes support Mega menu. like TopSeo, Minera and Zoa. If your theme support mega menu. 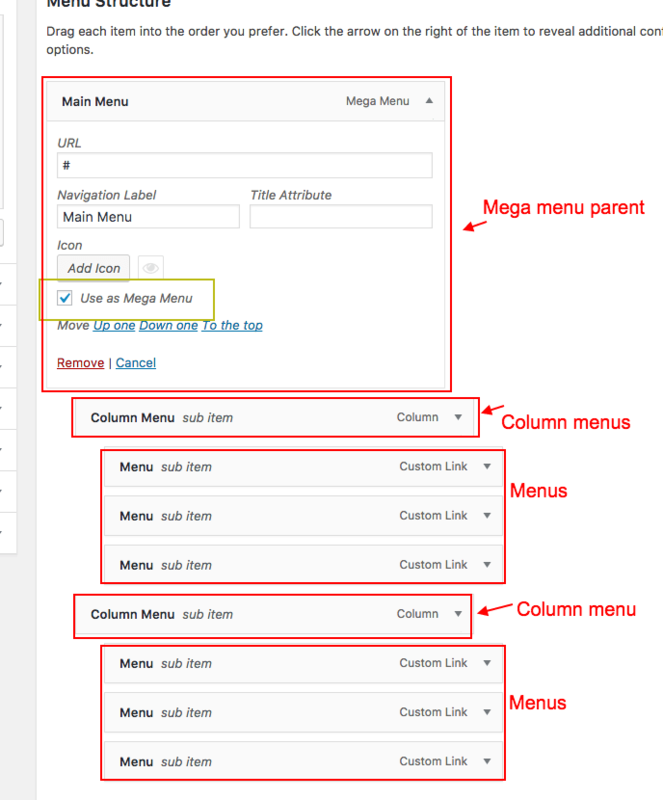 First, make sure your Mega menu extension active or not from Unyson sidebar. If not active please active the Mega menu extension. After active the mega menu. go to appearance -> menus.